…hung in the sky in much the same way that bricks don’t. Adams, D. 1979. 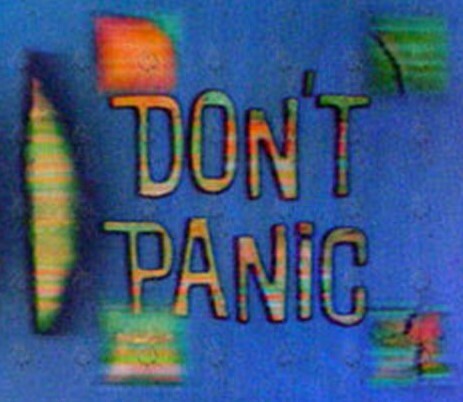 The Hitchhiker’s Guide to the Galaxy. London: Pan Books. Morning. Sunday. Long weekend. The football is over. A long trek to the meet point and the ephemeral transients are already thick on the road. Cool and overcast with the promise of warmth and sunshine; for now, it’s not. Grips at 75%, thermals working, a chill stealing through leathers, vents checked, ears plugged, fuel sufficient, rubber fresh. Ride. Playing vertical frogger with the cages; ensconced in their bubbles of reality I feel the air, I smell promises, I hear the deep rumble of the wind muted by 3M, I mentally plot my course, I am on. I take my preferred route and clear the city. Grey, steel and sharp angled verticals give way to the green and undulation, horizon, check, tree line, check, surface variable, check, suspension doing its thing keeping my rubber connected, bars loose and free to play but within the limits I’ve set, check, hands wrapped around feeling warmth heightening the cool of the backs of my hands, check, legs gripping, core working, check. Overtake on my missile. Check, check. I espy a fellow traveller recognising the blurred colours and wave as I pass. Final leg, the long straight as I reach the crest becomes a thin tree clad tunnel. First roundabout. Relax. Feel. At one. Power out. In time. There’s a gathering at T minus ten. A neat row of steeds emblazoned with manufacturer livery but my focus is on the nozzle. Click. Withdraw, squeeze gently, complete, transact, exit, join the tribe. Quick one for during the briefing; it’ll be awhile until the next stop. Listen. Mount up. Two late comers ascertain the rear rider, I roll on, await a safe launch window and assume the position. I espy a fellow green rider in my mirrors and note the glare of oncoming high beams, something awaits. With nothing in sight of me I am deemed the sacrificial lamb by the followers. No one overtakes. Anticipate. Hugging my wheel track I come to the end of the “good bit” and see the side of an emblazoned divvy van perched in a prime vantage, window down but no hairdryer proffered. Onward. Descending through Flowerdale I am reminded of the fresh rubber, cool temperature and variable surface. This stage is best experienced uphill. Aside the road a native clad in a singlet and jeans is adjacent to his square box like four wheel drive, collecting wood, chainsaw, the signal, how much faith do I have? I err on the side of caution slowly losing sight of those ahead, nothing eventuates. A false signal. The benefit is an open road across the fast sweepers and straights to the next turning. I see the leader and gently assume a safe range. Uphill through the tight section, magical, down into first, power on and out, decel, position, crane through the corner, rinse, repeat. In the moment. Nothing drifting across my mind, pure experience, no thoughts surface, I am part of her and she is a part of me. We are. Just are. The eucalypts close in and I focus on the distance, I see the leader and practice unattached awareness: he is there but not my focus, I calculate my line, my inputs, the brain seemingly effortless in deducing the movements needed. Through the tree clad ribbon of bitumen I soar, swoop and glide. Alive. Into the town I mark a turn and wait a seeming eternity for the last. Four thousand odd inhabitants, where do they put them all? I see a freeze frame of the proud plank proclaiming the number and the name, somewhere back there. A rush of engine and I’m passed by a missile, around, lean, calculate, brake, accelerate. Distance. The green permeates my soul, I feel a part of it and it a part of me, the rolling green, the grey snake. Pure feeling. First stop and the attendant is wary of the leather clad and helmeted members of our posse. She remarks sideways that she’s OK with our race and glances up and away with the lid a concern to her. We’re safe but she doesn’t have that faith, some experience in the past, some feeling, some thought or image of past violence clouds her brow. Fear. Heading out to the aptly named track I create a cushion behind me and note I’m not alone, many of us know the curves ahead, the difficulty in overtaking and we take action accordingly. Soon I am alone, aware of the periphery of wood, brush, darkened forest, grey surface, mottled sun beams, an upcoming edge seeping a fine layer of gravel across our field of play. Mirror, check, grip with thighs, curve, adjust. I wonder which turn off we’ll take? Ascending to the plateau I see in the distance fellow travellers. The cool has allowed a warmth to materialise, I’m higher now, the pressure differential has assisted and the sun is with me. The unmistakable yellow and green of the Australian bush, the impossibly wide horizon, so limitless and free, the snake wending its way to the ancient lake. I have my game face on, ride the snake. Ride. I’m behind the leader again and a muted voice deep down inside me, no, not a voice, a feeling, no, not a feeling either. Something calls on me to increase the distance between us and we ascend. Materialised from the snake over the rise ahead. Oncoming. A very large mattress detaches from its cage lifting and rotating in seemingly slow motion, airborne, hanging in the air for an eternity. It’s landed on our snake. In close pursuit the black and chrome face of a four wheel drive darts into “our” side of the snake. The rider in front veers onto the last very last vestige of white line. A puff of brown dirt as he just maintains contact with the snake and he’s cleared. Black and chrome veers back onto their “side”. The mattress comes to rest straddling the middle of the snake. The sun is shining. Marking the next turn I replay the freeze frames in my mind – the mattress hanging in the air, the black chrome grill, the puff of dirt, the flow of reactions, the causality of forces at work. It can be “Game over, man. Game over!” but not today. Today is not that day.